Prof. Dr. Sergio Nasarre is a Jury member of the Debate League. Infovivienda.es is a website promoted by the UNESCO Chair of Housing of the Rovira i Virgili University, which has the objective of making practical and rigorous information available to the public on the different forms of housing (property and mortgage, rent and intermediate tenures) and housing as a human right in the form of Q & A. 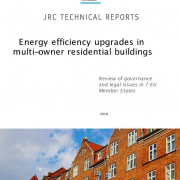 This report reviews the legal, management and administrative obstacles in multi-owner buildings in 7 selected Member States and identifies good practices that help overcome identified issues across these Member States. The information is collected through a questionnaire distributed to legal and energy efficiency experts at national level with the aim to deepen our understanding on the legal implications of the current apartment ownership and management structure in each country and identify energy efficiency policies that encourage investments in this field. 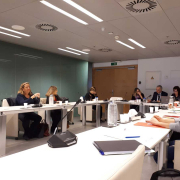 A workshop was also organised in November 2017 in Brussels with the aim to discuss these issues in more detail and draw policy recommendations on how to revise existing condominium and rental acts to make them more conducive to energy efficiency upgrades and investments in apartment buildings. Prof. Nasarre has contributed with the Spanish system to the report. 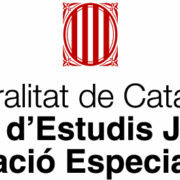 The Centre d’Estudis Jurídics i Formació Especialitzada just funded an interdisciplinary research project of the UNESCO Housing Chair entitled “Tokenisation of rights in rem and the regulation of the fifth book of the Catalan civil Code”. This research project analyses the new technological practice of creating tokens or colored coins, which represent the ownership or rights in rem over inmovable property, and its impact on the Catalan Civil law. On November 16th, the opening session of the technical table was held at the headquarters of the Department of Labor, Social Affairs and Families to achieve the adaptation of the Catalan legal system to the Convention on the Rights of Persons with Disability approved by the Organization of the United Nations, on December 13, 2006, ratified by Spain and the European Union. One of the researchers of the Housing Chair, Andrés Labella, has joined the work team, proposed at the request of the entities Cocemfe Catalunya and Dincat, with the aim of focusing on private law, especially on issues related to the right to independent life and in the community included in article 19 of the Convention and on all aspects related to housing and protection measures, both personal and physical. In this sense, the main goal will be to offer proposals so that the new ordinance suppresses the outdated terminology and modifies the articles that cause discrimination. As regards the material content of the right to independent life, the implementation into the new civil legislation of the basic elements for the configuration of community environments as a support network so as to fight against social isolation and to boost balance of family life and work, from a gender perspective and sustainability of cities and communities, will be proposed. 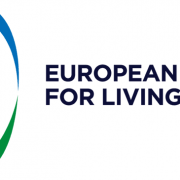 The UNESCO Housing Chair has been accepted as a new associated academic partner of the European Federation for Living (EFL), thus becoming the first Spanish member. The EFL has currently 60 members, which represent 14 European countries and more than 1.2 million housing in Europe. This network has a unique combination ofsocial housing providers, private stakeholders and universities and other research networks. Thanks to its composition, the EFL is an active and dynamic network. Projects are developed in order to give options and solutions to the needs identified by the stakeholders of the sector (e.g. Circular Housing Asset and Renovation Management, Housing Association strategic alliances and mergers and post-merger Integration and IT Solutions for independent living). It also has different Topic Groups that meet periodically to share expertise and best practices about certain topics, for example, onsocial domain, energy efficient buildings, digitalisation, accessible and intergenerational living and financing and investments. Furthermore, conferences, seminars and workshops are organised throughout the year, where ideas, needs, knowledge, expertise and research outputs are shared. Therefore, the UNESCO Housing Chair will be able to enrich its work at the same time that it contributes to the EFL with its knowledge and research outputs on a variety of fields within housing studies. Moreover, the combination of housing providers, private companies and academia enables the implementation of two of the Housing Chair cornerstones: knowledge transfer and social impact. 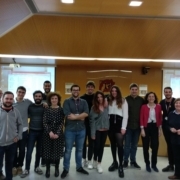 Dr. Héctor Simón attended the First Meeting of the Leonardo Network, which brings together those researchers from the different scientific areas who have been awarded a Leonardo grant in the last five years. Dr. Simón was awarded a grant in 2015 to study “The improvement of the reverse mortgage from the European and North American perspective”. 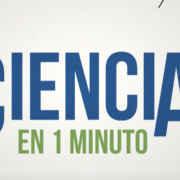 The constitution of this network, at the initiative of the BBVA Foundation, aims to give visibility to the research undertaken by the researchers. 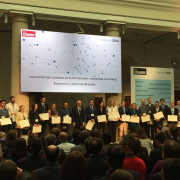 More information is available on the website https://www.redleonardo.es.